Have you ever come under fire from a flamethrower? I’m not talking about in a video game. I mean in real life — fireballs flying in your direction and coming within 20 meters of striking you. Not Molotov cocktails, but rather a true force of nature. 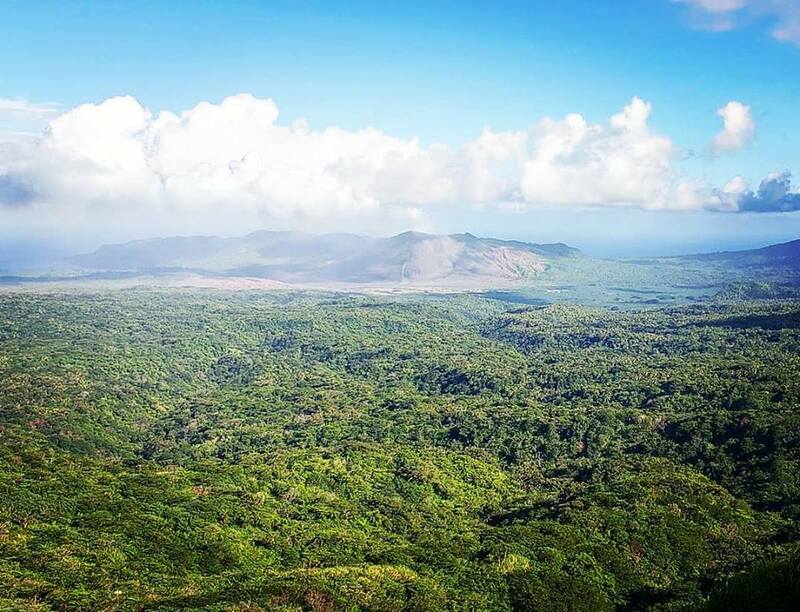 For me, that force of nature was Vanuatu’s Mount Yasur. No! Of course not. Nauru is not a place I will ever call home, though if you haven’t read my expose on the refugee gulag in that little island nation, I recommend you do so. I also recommend walking in a circle around the country, which can be done in just a few hours. As alluded to in the recap of my time spent in Kirbati, the Solomon Islands, Fiji and Tuvalu, I skipped filling you in on my stay in Vanuatu since I was saving the best for last. 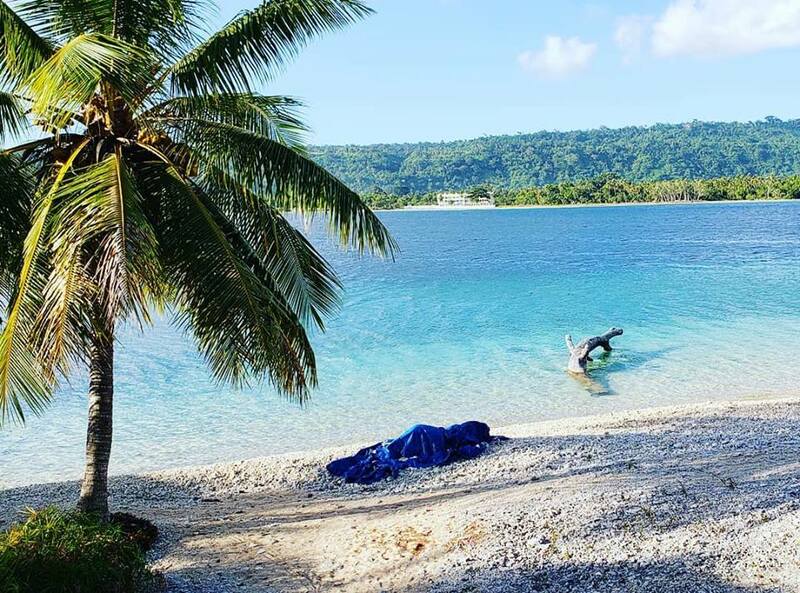 So let’s get back aboard that surprisingly cozy Air Niugini flight from betel nut-addicted Honiara and prepare for landing in Port Vila, the capital of Vanuatu. Vanuatu is an archipelago consisting of 82 islands of volcanic origin, as well was several active volcanoes. The country is located west of Fiji and east of northern Australia. Upon landing in Port Vila, it struck me that we were back in civilization. I hadn’t yet experienced the sight of boys playing soccer on an airport runway, but the difference between Vanuatu and the island nations I had already visited on this trip was immediately noticeable. Vanuatu is much more of a tourist destination than places like Nauru, Kiribatis and the Solomon Islands. And it is marketed as more of an upscale tourist destination, with people arriving not just by small island hopping flights but on cruise ships. Speaking of sailing, British explorer Captain (James) Cook arrived in Vanuatu in 1774 and named the archipelago the New Hebrides. Cook’s name for the archipelago stuck until the country gained independence in 1980. Before then, the British and French had jointly colonized the islands, forming a “condominium” (parallel governments) in the early 20th Century. The condominium consisted of separate British and French-administered governments that were only joined by a shared court. We landed in Port Vila, which is on the island of Efate. I could tell Efate had the appearance of a big, green island that resembled Hawaii. Yet, I never actually spent a night on Efate, nor did I explore Port Vila. 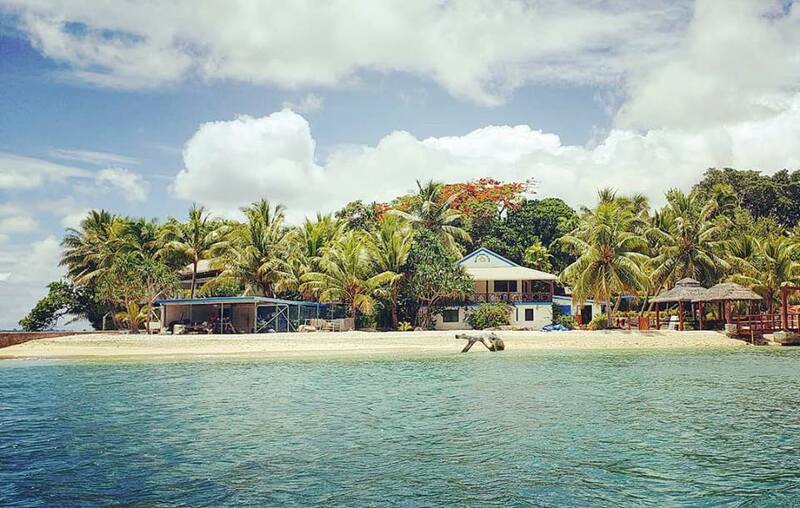 After arriving on the flight from Honiara, we headed straight for a resort on a small nearby island. First we were driven to a dock. Then a boat took us to Hideaway Island. Well in actuality, this little island is called Mele. But it is occupied by the Hideaway Island Resort. The resort is a 3-star hotel with some rather basic rooms, but it’s actually a quite nice place. 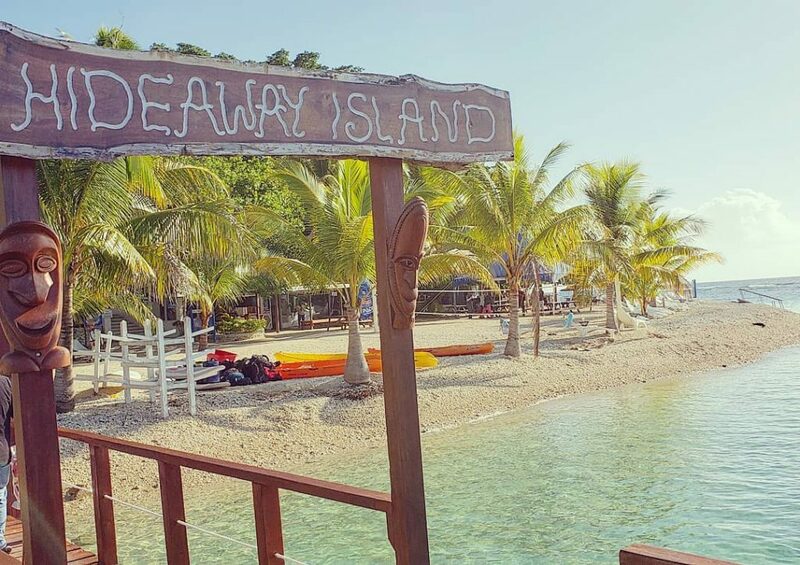 In particular, Hideaway Island has an amazing reef located just feet away from the beach. Swim five meters, and there is a sharp drop-off. It’s great for snorkeling. The beach itself, though, is some sand and a bunch of pebbles. My group returned with a special concoction. The drink is called kava. Actually, kava is a plant that belongs to the pepper family and grows on Pacific islands. But the drink is also called kava. The drink is made from the root of a pepper tree, which gets pounded into powder and mixed with water. Kava numbs your mouth and throat when you drink it. It has a sedative effect and makes you tired, so it’s good to drink before going to bed. Kava is basically a legal drug. In a sense it’s like alcohol, though without the hangover. It also gets compared to marijuana. It didn’t taste so bad. I liked the sensation of my mouth going numb. And I also enjoyed the process of tasting what amounts to the local brew. And kava doesn’t make you spit “blood”, so what is there to worry about? It was not because I got drunk or stoned off of kava and slept way too late. Well… I did wake up too late, but that was because of another reason. 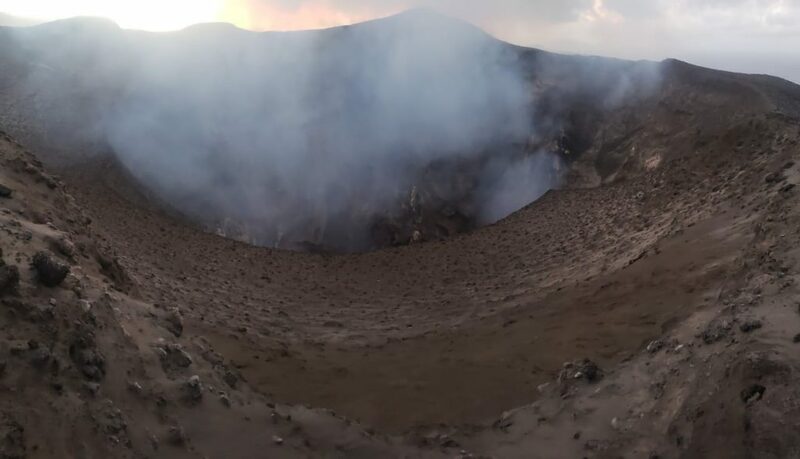 Before booking my volcano tour, I researched whether it would be possible for me to visit Mount Yasur at night. I saw no trip available for that night, unfortunately. I booked the day trip and got confirmation that I was to be picked up from the hotel dock at 1 pm. I was there waiting at 1 pm… and 2 pm. No one came for me. So I called the tour company. I was then informed that there was someone waiting to pick me up, not at 1 pm, but at 7:30 am. I had missed the tour. At that moment, it struck me that the 3 other people in my island hopping group who were doing the volcano tour said they had to get up at 7 that morning. I had initially thought there was a morning tour and an afternoon tour. Now I was stuck with the realization that I had no tour. On top of that, my phone reception was very weak. The call dropped while I was talking to an employee of the tour group. 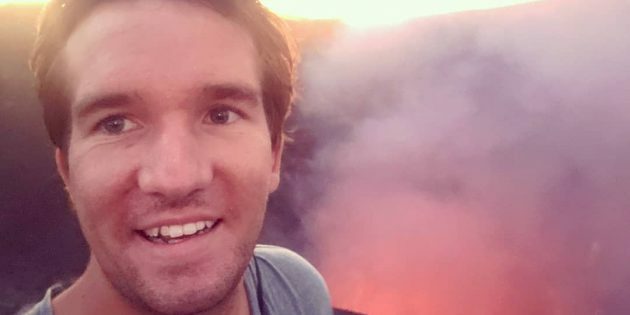 Bitterly disappointed that I would not be seeing the active volcano — the part of my entire Pacific adventure I was most looking forward to — I went to a restaurant, ordered a pizza and wrote an email asking for a refund. I got a response telling me to call back. When I called back, the connection improved, and the lady on the phone was very helpful. She arranged an overnight trip for me in which a private driver would take me to the airport and an essentially personal pilot would fly me to the island Mount Yasur is on. Then I would stay overnight at a hotel. Plans back on! I finished my pizza, packed some bags because I’d be staying overnight and waited for my real pickup. At the airport I boarded what was possibly the smallest plane I had ever flown on. It was a Cessna 172. This little, four-seat, fixed-winged aircraft had a tough time just making it onto the runway. The plane needed to elevated 20-30 centimeters to just get started. The pilot put the propellers at full speed, but the plane did not elevate. Some guys actually had to push the plane like they were pushing a car that ran out of gas. Anyway, the Cessna 172 eventually got moving and airborne. I was sitting alone in the back with pilot and co-pilot in the front. 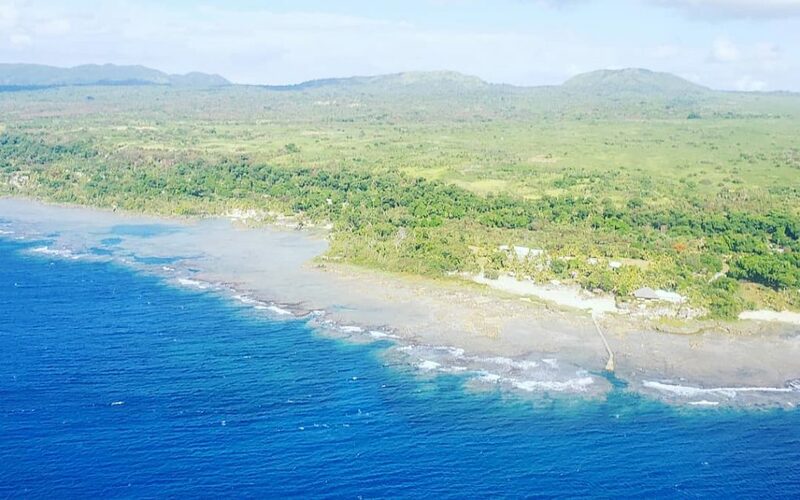 We flew from Efate south to Tanna Island, the second to last island in the archipelago that makes up Vanuatu. We flew over Port Vila, as well as other islands and some reefs. Unfortunately, it was cloudy and rainy for much of of the flight. Still, there were some very good views. Upon landing on Tanna Island, I bumped into the three members of my travel group who were returning from their trip to Mount Yasur. They said it was amazing. Yet I was under the impression my volcano visit was going to be even better. A driver in an SUV took me all around Tanna Island. The island is quite mountainous with a big ridge running right through the middle of it. Some resorts that are known as diving spots line one side of the island. We drove up the ridge and stopped to take some photos. I could already see Mount Yasur. The island was full of lush vegetation. While heading down the ridge and approaching the volcano, suddenly the vegetation turned to basically desert. The area surrounding the volcano was sandy and very rocky. Cruising through this deserty area, my driver was going very fast and making dune buggy type maneuvers. He would head up the volcano a bit and then turn and go full speed down. It was a fun ride. I arrived at the Mount Yasur visitor center. This is where you have to go and sign a waiver before really visiting the volcano. That is because it is actually quite dangerous to be there. It’s not uncommon for people to die on Mount Yasur. Some have gotten hit by lava. Others have actually fallen into the volcano. After signing the waiver, I switched into another SUV that sped up the mountain to the foot of the volcano. There were a few other SUVs on the mountain at the time, but mine was the first to arrive. Following a quick five-minute walk I reached the first of 3 volcano viewpoints. Unfortunately one of the viewpoints was inaccessible because of a high amount of sulfuric gas in the area. I moved on to a second viewpoint with my guide and spent more than two hours there taking in the stunning display of an erupting volcano. Mount Yasur is famous for being very active. It is one of the most active volcanoes in the world. The glow of the volcano’s lava is supposedly what attracted Captain Cook to Vanuatu. Since then, the volcano has been continuously erupting. Most of the eruptions are considered small or minor. During my visit, the volcano was probably erupting every 3 or 4 minutes. When the volcano erupts, a lot of black smoke comes out of its crater. There is a roaring sound that made some people very scared. I really liked hearing the volcano roar. The actual danger comes from the lava, which gets hurled out of the volcano. Molten rock comes flying out of the volcano and into the air. When its light outside, you can’t see the flying lava so clearly. But when the sun sets and it gets dark, you can clearly see the fiery rocks being thrown into the air and then falling back into the crater. 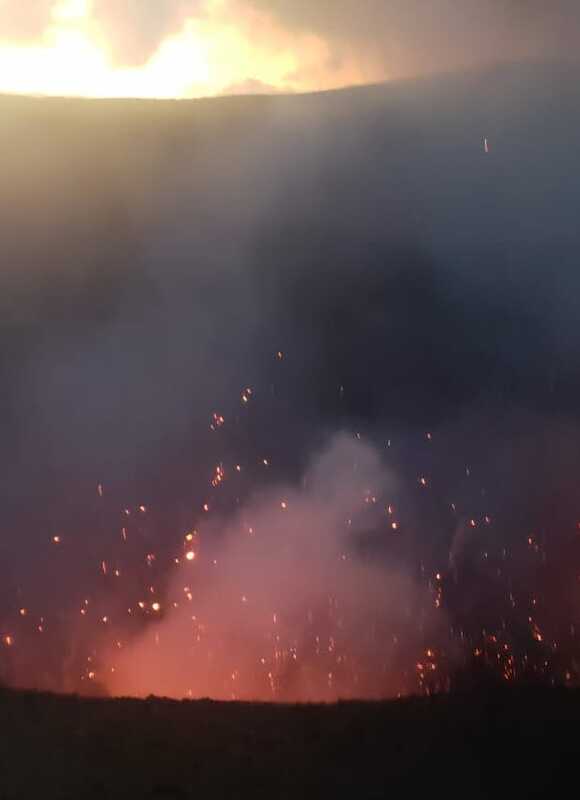 I spent a couple hours watching eruptions and photographing molten stones coming out of the volcano. I captured flying lava from a lot of different perspectives. Then the sun went down completely and most people left. We stayed. My guide said I could stay as long as I wanted and that the tour company wanted me to be happy. The darker it got, the more amazing the display was. I learned from my guide that the volcano is most active when the weather is coldest. So as the temperature fell and darkness did too, the activity and visibility became tremendous. At night I could really see the lava in the volcano. It lit up the crater. When looking as deep as possible into the crater, I could see there were constantly molten rocks being hurled into the air. Eruptions continued every few minutes throughout the time I was there. About a half hour past the point when it became pitch black out, I was fully satisfied and ready to leave. But the overnight adventure carried on. A 2-hour drive down the volcano, over a ridge, back to the airport and then a little farther brought me to a resort where I spent the night. Most of the way, we were driving on tiny, non-paved streets in almost complete darkness. It wasn’t quite the thrill of coming within meters of flying lava, but it was a nice way to wrap up the day. The resort where I spent the night had a nice reef for snorkeling, though I didn’t have time for that. I had time to eat some lasagna, conduct some consulting calls outside where the wifi worked and get a short night’s sleep. At 7 am I was picked up by a driver and brought to the airport. 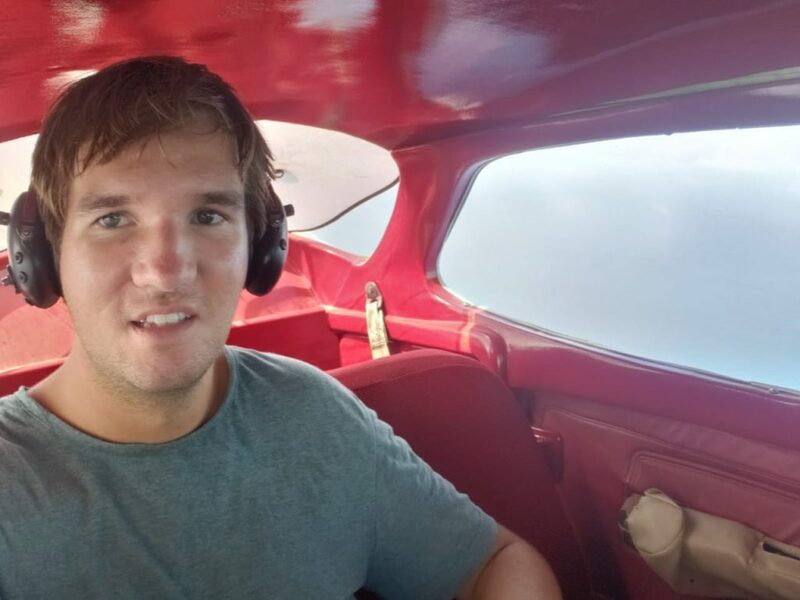 The same pilot and co-pilot flew me back to Port Vila. The return flight was a bit uneventful, but it was nice to again see how the Cessna 172 works. Also, the weather was better than during the first flight, so I saw more of Vanuatu’s islands. By the time I returned to Hideaway Island and rejoined the group, I only had a few hours left in Vanuatu. Then we had to depart for Fiji. Thank you Air Taxi Vanuatu!! 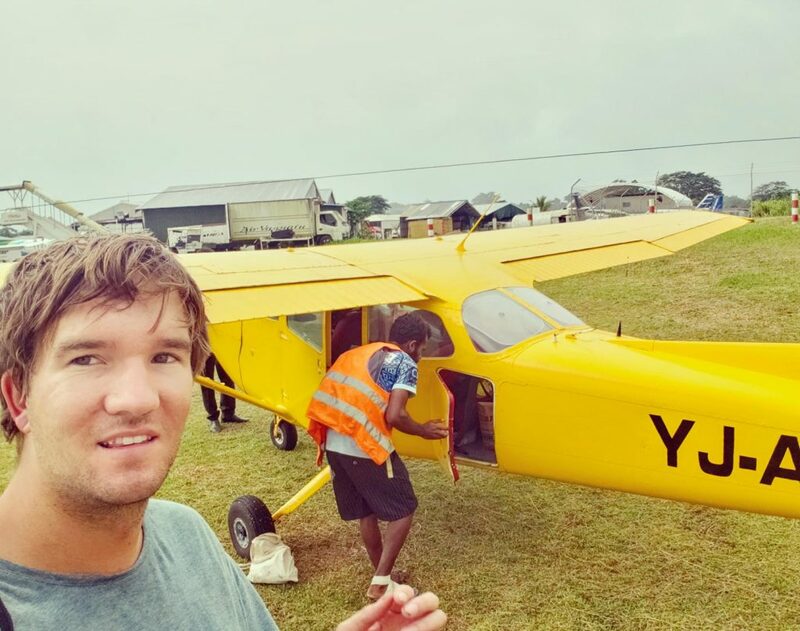 More so than summing up my few weeks of island hopping in the Pacific, which I have already done in this post and others, I would like to take the opportunity to thank Air Taxi Vanuatu, the company that brought me to Mount Yasur and back. You more than made up for the initial mistake. 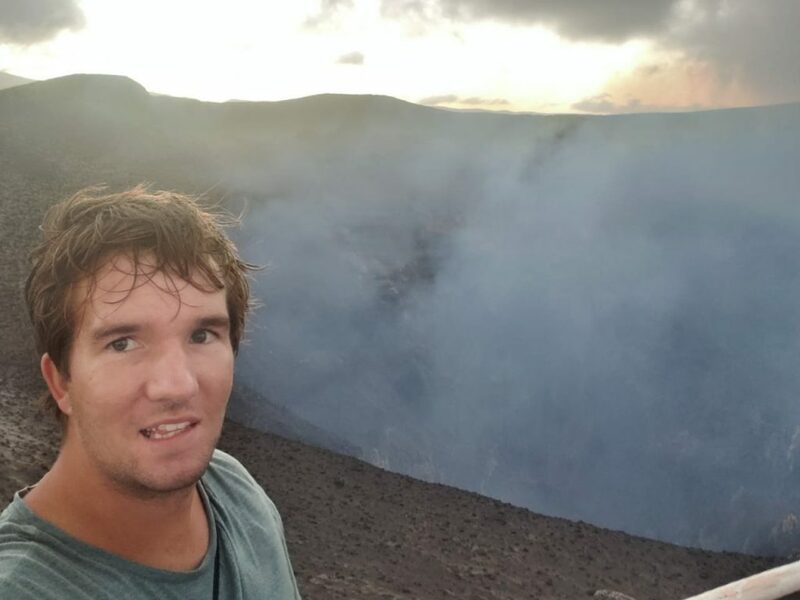 It was very gracious of you guys to arrange this private tour for me, and I am very grateful for the experience, particularly how it became a sunset/nighttime volcano voyage. 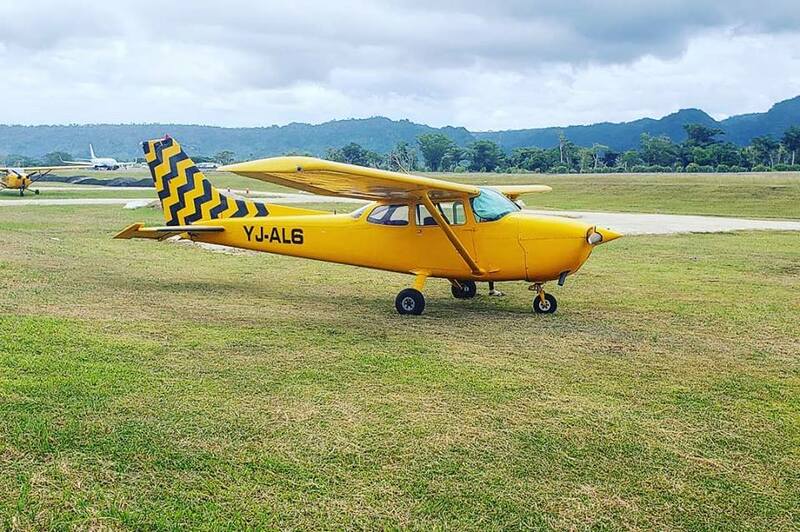 For anyone who is visiting Vanuatu, I highly recommend you check out Air Taxi Vanuatu’s Mount Yasur tours and air charter service. If you heed my recommendation and take the overnight tour, you will not be disappointed! And if you want to thank me, you can bring a glass of kava to Heuereka.